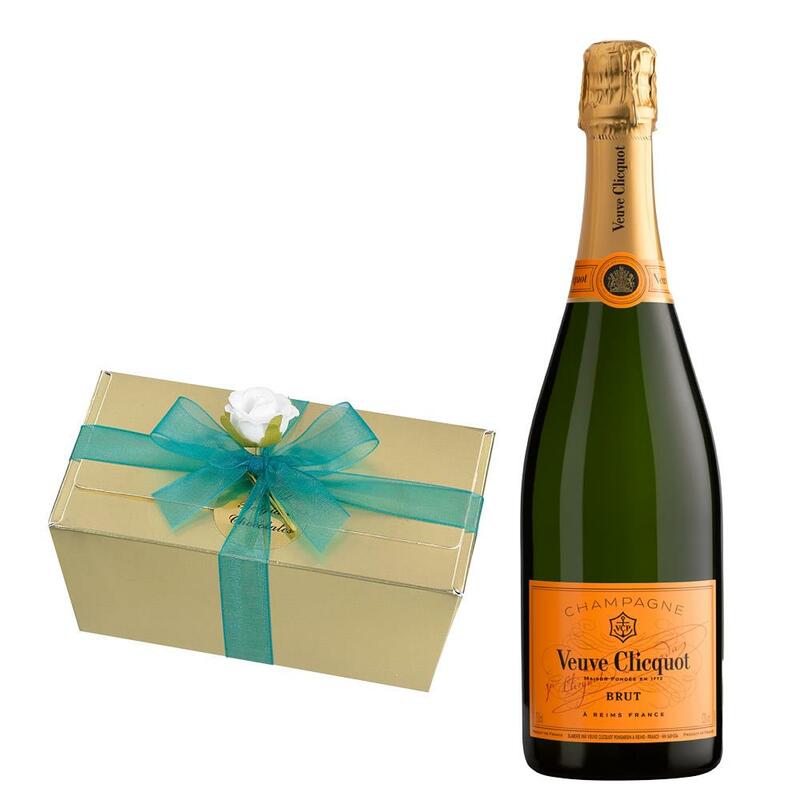 Veuve Clicquot Brut Champagne 75cl with An indulgent assortment of Belgian Chocolates (460g), filled with a selection of the finest milk, white and dark chocolates, all hand finished using the finest ingredients. 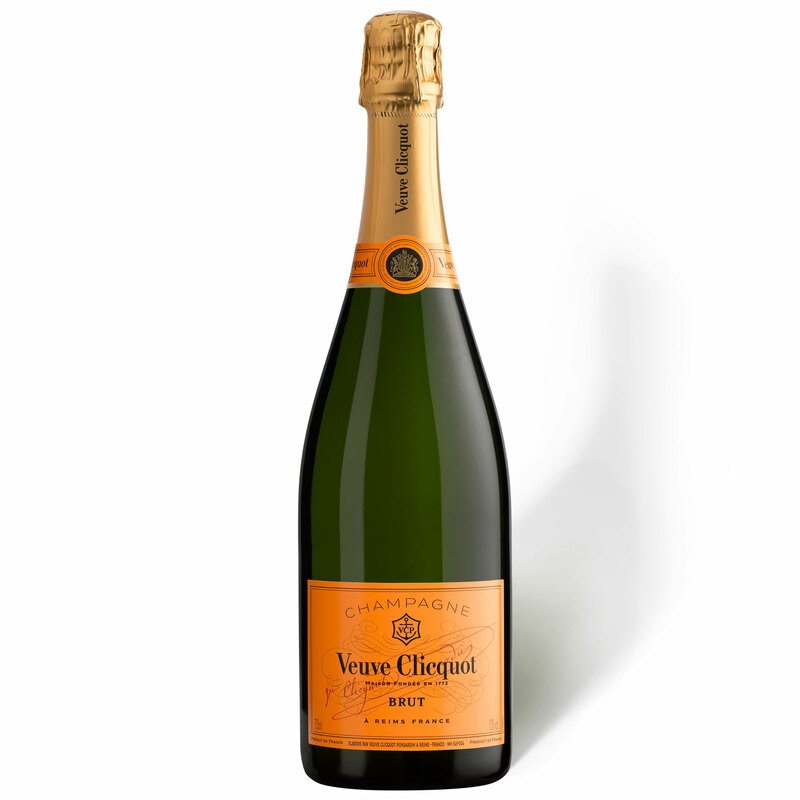 Veuve Clicquot Yellow Label Brut has been the symbol of the House since 1772. A perfect balance between power and finesse, its complexity comes from the predominant presence of Pinot Noir and Reserve Wines. It showcases our superb vineyards and the consistent style of our House. Traditionally, the proportion of each grape variety used is 50 to 55% Pinot Noir, 15 to 20% Meunier and 28 to 33% Chardonnay. These figures vary slightly from year to year according to conditions. Veuve Clicquot Yellow Label manages to reconcile two opposing factors - strength and silkiness - and to hold them in perfect balance with aromatic intensity and a lot of freshness. This consistent power to please makes it ideal as an aperitif, and perfect as the Champagne to enjoy with a meal. This product is hand packed onsite by Champers Direct, and is not affiliated with any other brand. Champers Direct is responsible for this product combination/set.